Santorini and Paros are connected with frequent ferry itineraries during the summer season. The distance between the two islands is approximately 65 nautical miles and the journey has an average duration of 3 hours and 30 minutes, which mainly depends on the ferry operator and the weather. An average ticket price of the ferry connecting Santorini to Paros is usually less than € 20. 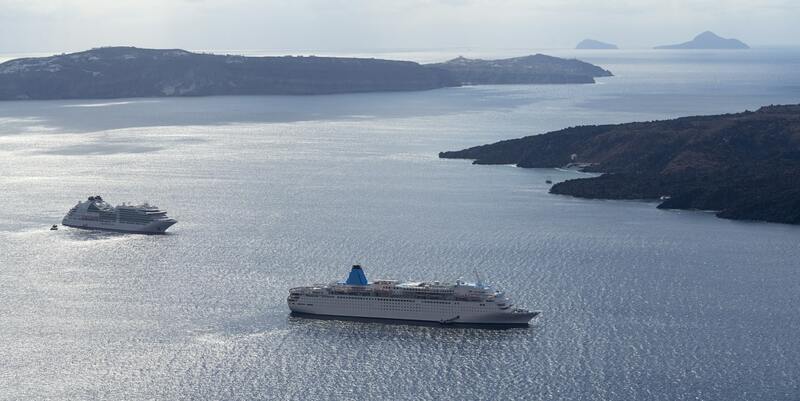 How long is the ferry ride from Santorini to Paros? The duration of the trip from Santorini to Paros ranges from 2 hours to almost 4 h 30 minutes, depending on the ferry boat. Ferry tickets from Santorini to Paros are quite affordable and may cost from 10 to 40 euros, depending on the ferry operator. Concerning the vehicles, the tickets are a bit more expensive but remain quite affordable. You may find more accurate information by searching the specific itinerary in Ferryhopper. The distance between Santorini and Paros is about 105 km or 65 nautical miles. If you visit Paros only for a day, be sure to rent a vehicle, to explore as much as possible. Also, if you like partying until the morning don't forget to enjoy the famous nightlife of the island! Tickets to Paros from Santorini always sell out fast during high-season. If you are planning to take a ferry from Santorini to Heraklion on late July or August, make sure to book your tickets well in advance. There are many other beautiful islands around Santorini that you can visi as well, such as Mykonos, Naxos, Amorgos, Koufonisia and Ios. You can also check our top ferry routes from Santorini to Mykonos, to Milos, to Heraklion and to Naxos. Island hopping around Santorini is the best idea! You can check our Ferry Map for more ideas!